Our Wheeling office features attorneys who represent clients in workplace safety and workers’ compensation issues; estate and trust planning; class action matters; product liability matters; toxic tort matters; mineral title litigation; insurance bad faith and coverage; education law; and municipal law. Regional and national companies have taken advantage of Wheeling’s location to make it an ideal distribution point for their products and services. 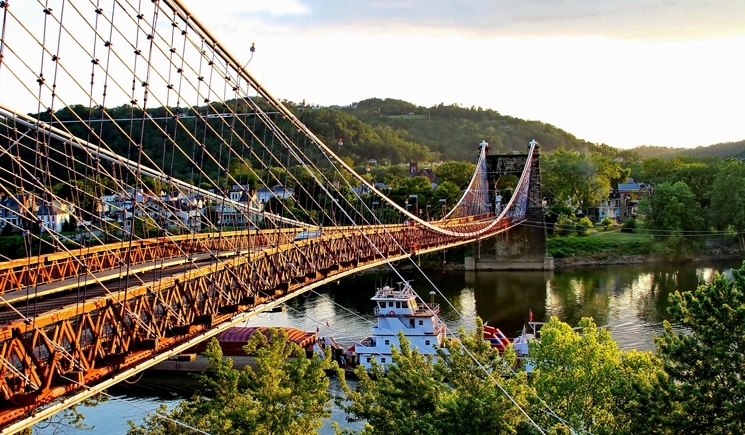 Wheeling’s major industries now include health care, education, entertainment and energy. If planning a visit, on-street metered parking is available or at 10th Street & Market Street parking garages. The office is located at the opposite end of Market Street on the 1st floor.